Hello folks. This is @Stupidosaur. I have forgotten password of the @DestroyAadhaar account which was relatively new. Made a confirming tweet from the 'archive' account I used to use before Twitter archive download feature. Archive account is @Stupido_bot1 as most old followers might know. First, I had been missing because my computer which was on deathbed went kaput. I did not login because I did not want to login from other people's computers. I am breaking that rule because of nature of very serious new problems. Because India is STILL a democracy. 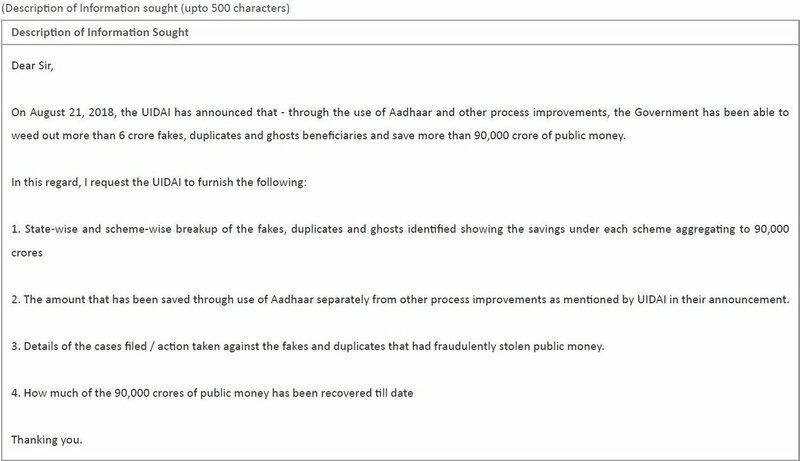 A simple aadhaar thread to explain why aadhaar should be opposed by anyone and everyone who cares about our Country and all its People. Aadhaar is an assault on your very basic identity. Hundreds of people may vouch for you. You may have a Licence, School Certificate, PAN, Voter Card, Ration Card, Passport etc. Yet, if aadhaar declares that you are NOT you, NOTHING will let you negate it. 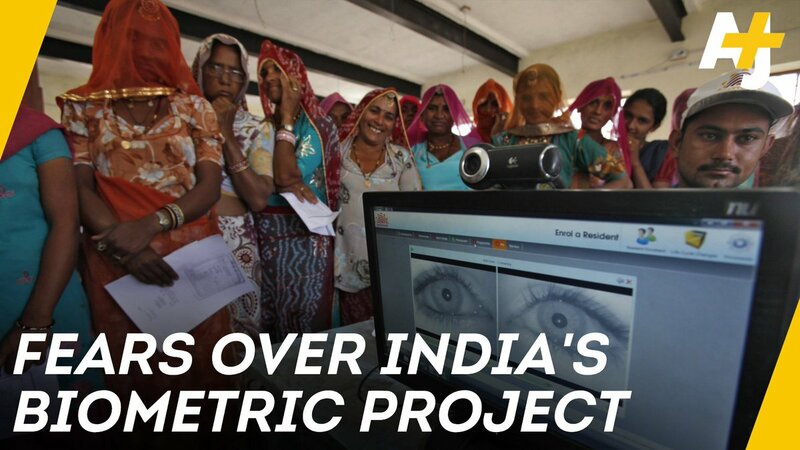 Biometric authentication failure rates range from 6% (UIDAI) to 49% (Economic survey of India 2016-17). That's 7.2 crore people upwards who WILL BE DENIED THEIR IDENTITY by aadhaar. On 21-Aug, UDie announced that it had saved 90,000 crores. 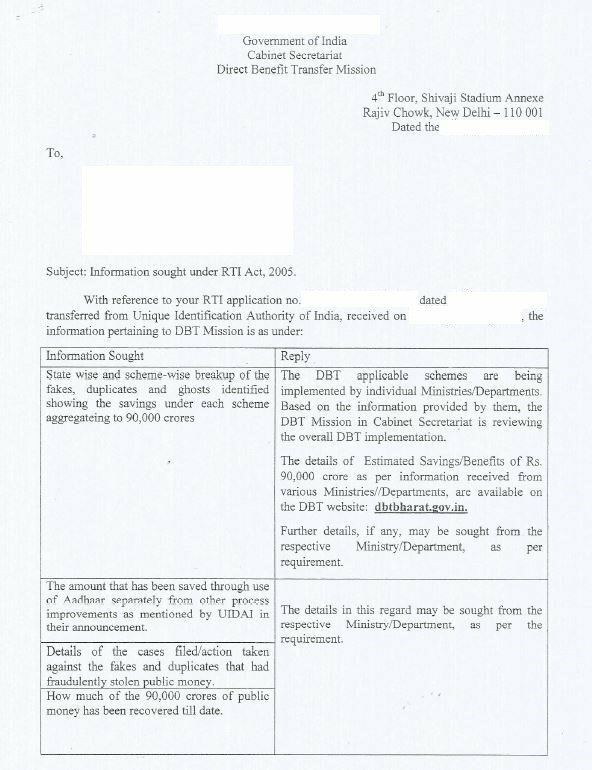 Intrigued by the magnitude of the savings, I decided to file an RTI request. This thread documents my journey into the labyrinth. Now that the lawyers have run their marathon and we wait for the top court to rule, a small personal diary note thread on #Aadhaar & me. Huge thanks to community of people who have widened my wisdom of how society works. Fellow helpless people helping each other. It started sometime in 2011, when I knew nothing, enrolled along with family.But our enrollment packets were lost, EID wasnt even searchable. I did write some emails to support, but yielded nothing more than, please enroll again. As the need wasn't real, did not enroll. Parents gave up at a later date, enrolled, got UID successfully generated. I resisted, mostly because of laziness, but did not have developed trust enough to enroll. On random browsing sessions, have heard Usha Ramanathan on YouTube, but never took deep dive into issues. #DestroyTheAadhaar is the primary prayer of the Petitioners. That case has now been made before the final adjudicating body in the country. The fate of the only such project in any democracy that sought to fingerprint its entire population, hangs in the balance. M.G.Devasahayam, Thomas Franco, Sam Rajappa, Nachiket Udupa etc. And those that helped enormously with material that formed sworn affidavits before the Court- Prof. Reetika Khera, Prof. Jean Dreze, @anumayhem , @samirkelekar , Dr. Rakesh Goyal, @iam_anandv, Dr. Yogesh Jain ..
Nobody with minimum understanding of / concern about security or privacy would plan a project like this. 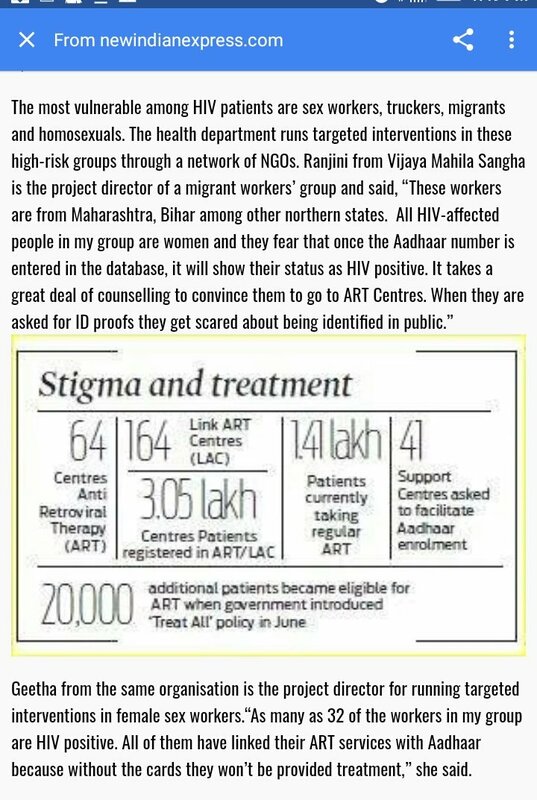 and all those in power who decided to implement such a dangerous project like #Aadhaar , without any study or cost benfit analysis should be held accountable. 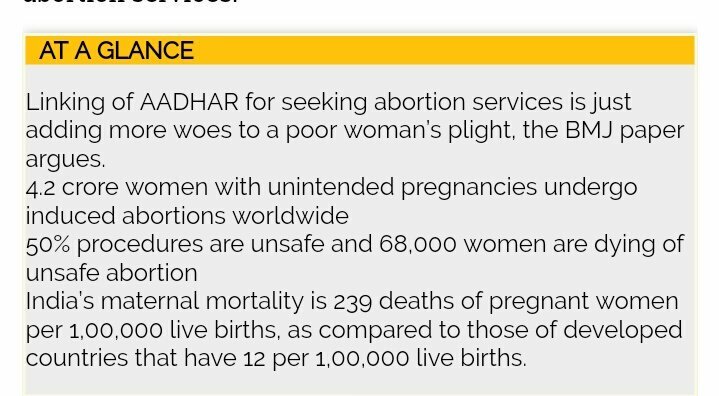 3/n The focus on privacy in the #AadhaarHearings sidelines the issue "that Aadhaar in its very design and implementation more fundamentally violates the right to identity, to person-hood, to citizenship and consequently the right to life itself." 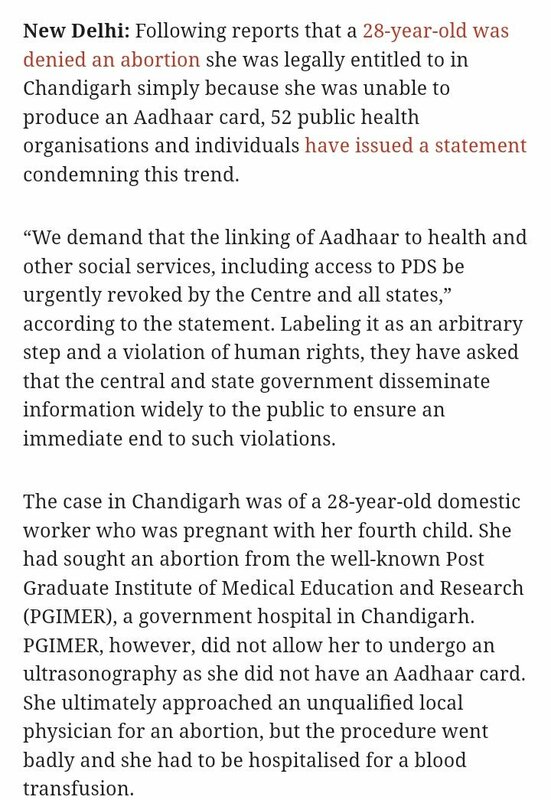 In Delhi a 11 month old girl died because the hospital refused to treat her without an #Aadhaar card. 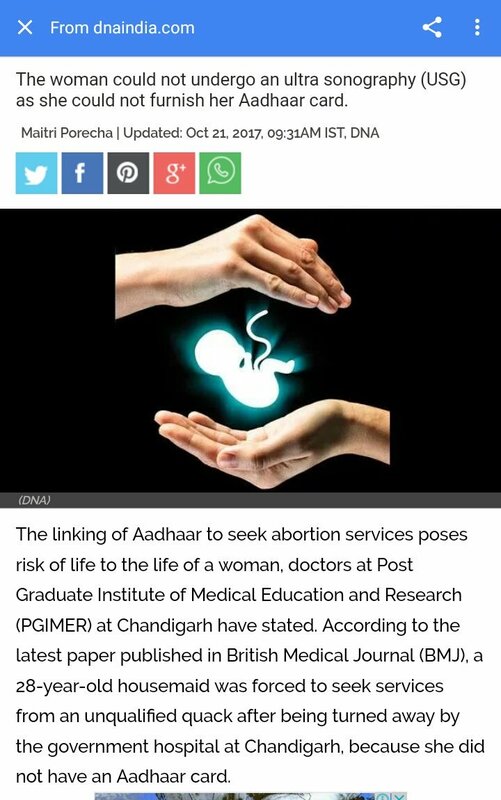 In Chandigarh, a woman was refused #abortion because she did not have an Aadhaar. 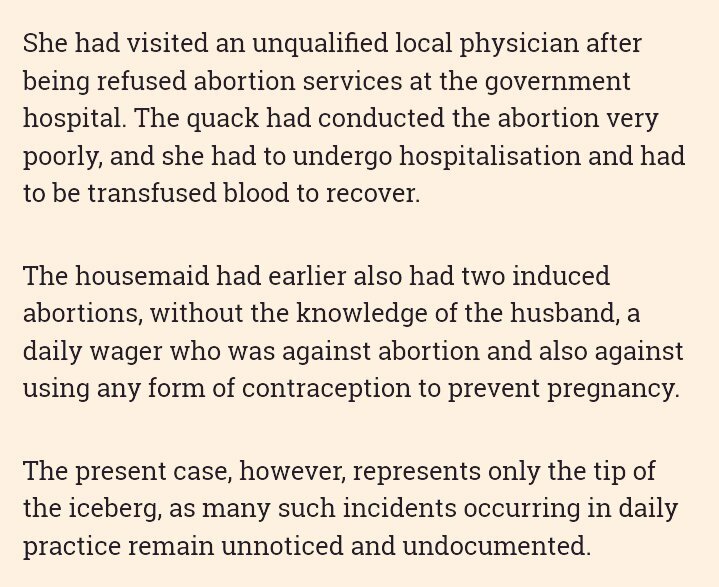 She sought a back alley abortion and suffered extreme bleeding and complications. #ElectoralBonds bring unlimited (global) corporate funding. Only the govt will know the identity of the donors. #1 Companies Act amended - Ceiling on corporate donations removed. Earlier 7.5% of net profits, now possible to donate entire capital..!